We are huge fans of Italian Food in our house. Daddy is a keen chef and, as you may have seen on Instagram, Italian cuisine is his speciality. The culture of Italian meal times is also deeply appealing. What is life about, if not sharing a huge bowl of pasta while enjoying the company of the people you love? 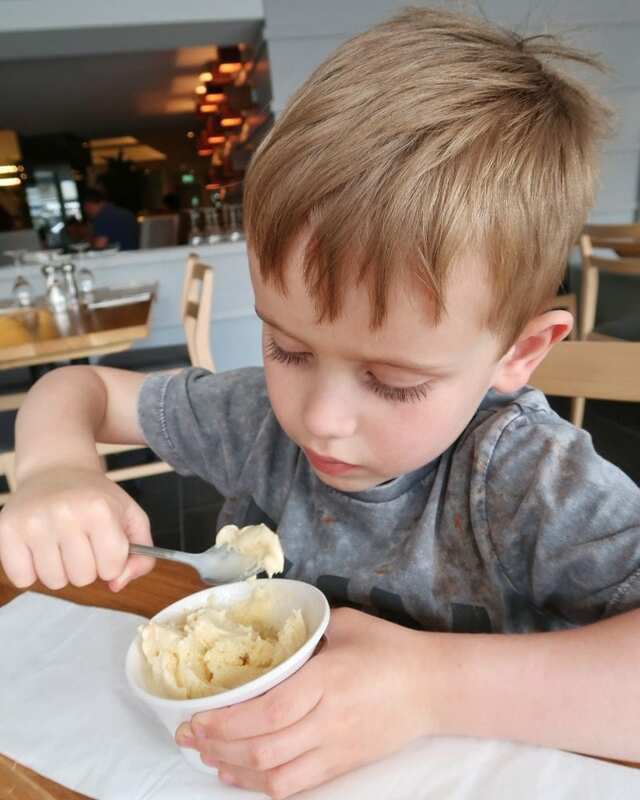 So, when BritMums gave us the opportunity to try out Prezzo La Famiglia – Prezzo’s new family sharing bowl of pasta – we jumped at the chance. 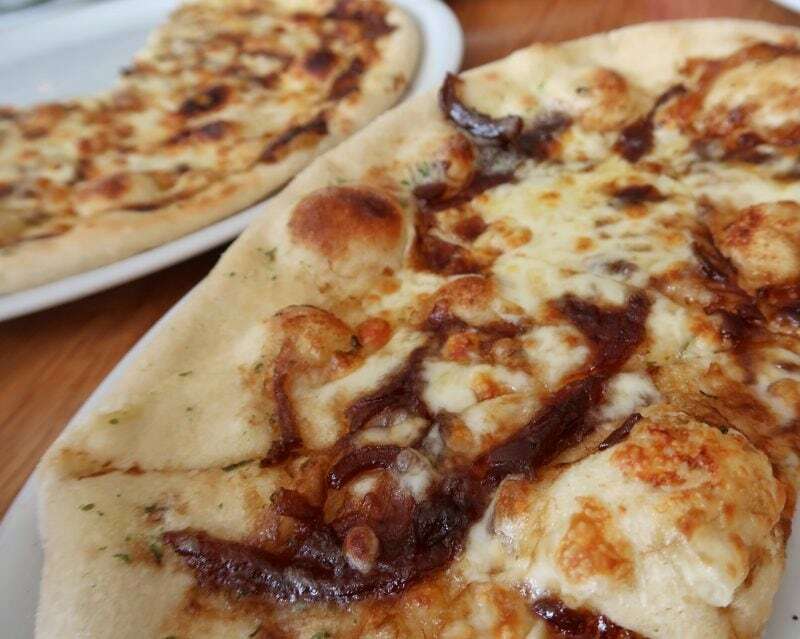 The Prezzo restaurant chain has more than 280 restaurants across the UK. 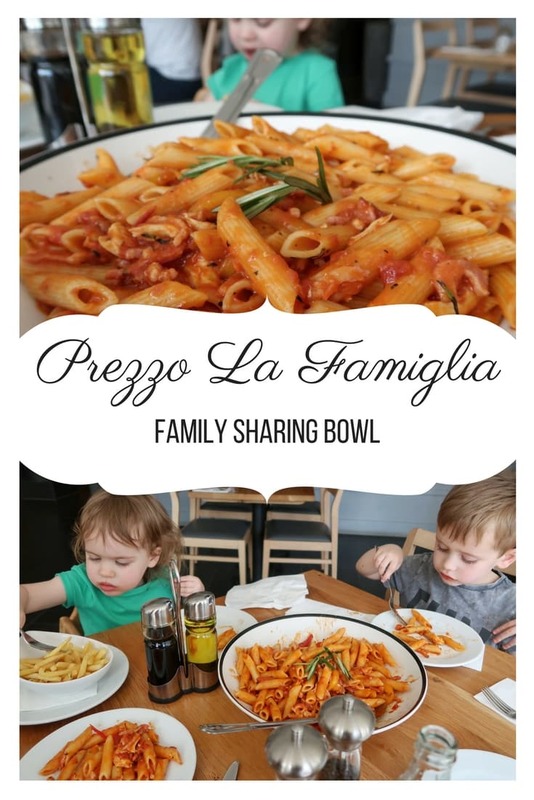 The ‘La Famiglia’ sharing bowl is an inspired idea. Instead of each member of the family choosing individual dishes, taking ages to decide and then generally being jealous when they like the look of someone else’s, there is a huge bowl of pasta for everyone. In true Italian style, food is shared out, second helpings had and family memories made. 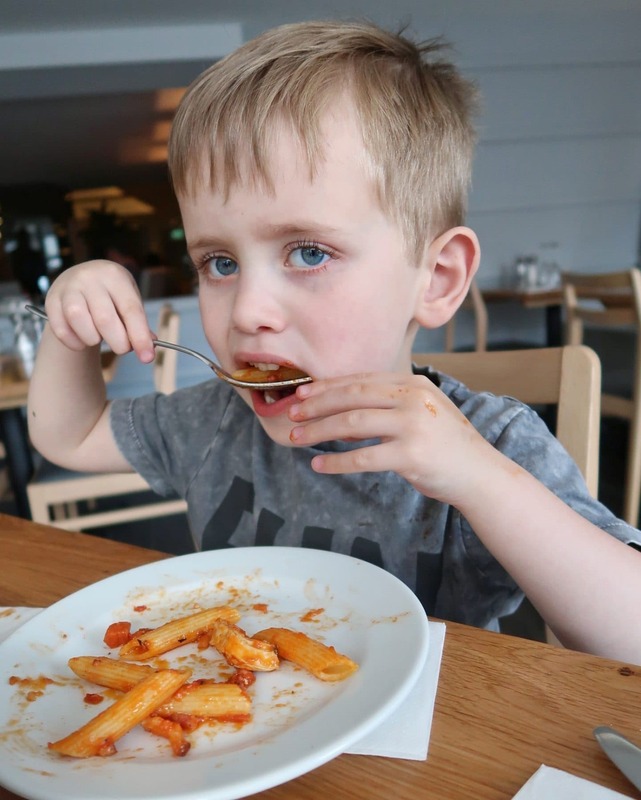 As an autism family, eating out can be quite difficult for us. Everything must be predictable or my son can become very distressed. Restaurants can be challenging. Not only do they tend to be busy and loud, but it can also be difficult to give him enough information about exactly what will happen. Before we ventured to our local Prezzo, we prepared Biggest a great deal. We told him exactly what he would have to eat, that everyone would share a big bowl. 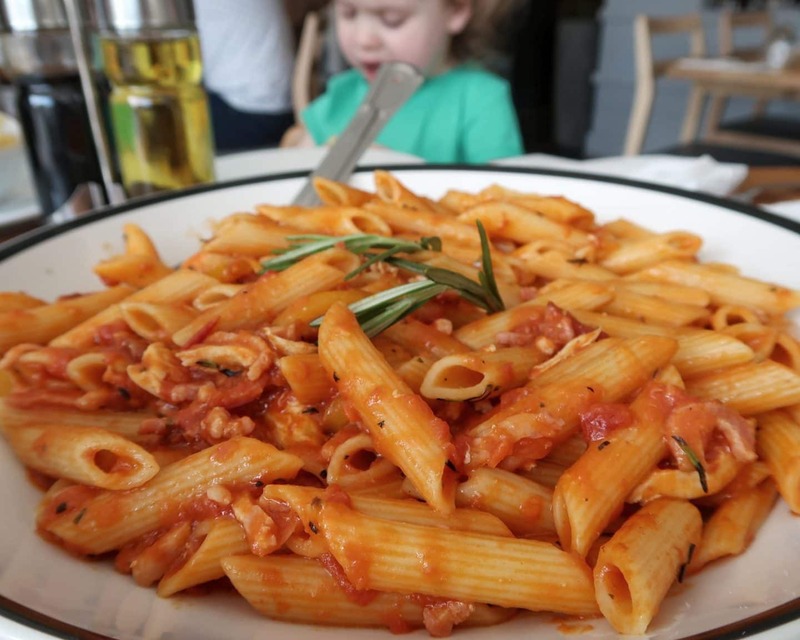 We showed him pictures of the pasta dish we thought would suit everyone best – Penne Alla Rusticana. When the day of our family meal arrived, Biggest was bursting with excitement. The thought of the huge family bowl was thrilling to him, as he had seen pictures and knew exactly what would happen. 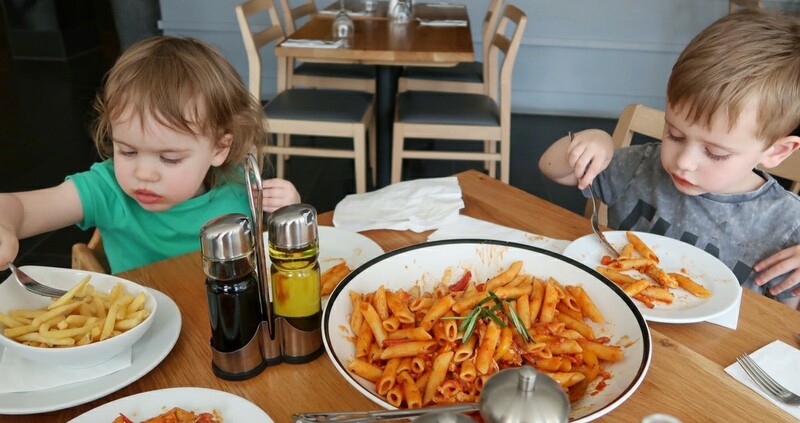 As pasta is probably both children’s favourite food, they were eagerly anticipating our meal. Littlest asked “We go have pasta today?” for about a week before. It is fair to say that we had big hopes for Prezzo La Famiglia. As a blogger who reviews things fairly regularly, it is always wonderful when we get to experience something as a family that I can be effusive about without holding back. We had one of the best family restaurant experiences we have ever had. The food was amazing. From the divine giant garlic pizza bread above, to the HUGE bowl of pasta we all shared, everything was delicious. In addition, although our children are fairly small, there was more than enough food to make sure everyone was stuffed. I was shocked by the amount my two under-fives ate. I am sure there would be more than enough food for a family of four with teenagers, or bigger families. The staff were also extremely accommodating to Biggest’s needs, making sure they got him a drink in his own special cup. I spooned out pasta for each of the children and, before I knew it, each one would shout “More please!” and I dealt out another portion. Biggest loved the huge bowl of pasta as we all had the same and it was predicable and easy to work out what would happen. We had a whole family meal, in a restaurant, with no meltdowns, no refusals to eat and no tears. We spent the time eating, laughing and enjoying each other’s company and we came away feeling content and full. And, as if that would have not been a lovely family outing in itself, we ended our meal the perfect way – ice cream. Biggest and Littlest have been talking about “the big bowl of pasta” since we went to Prezzo. I think it is safe to say we will be returning of our own volition to have a Prezzo La Famiglia experience again. Please note, Prezzo kindly gave us a voucher that entitled us to a free Prezzo La Famiglia feast for the purposes of this review.